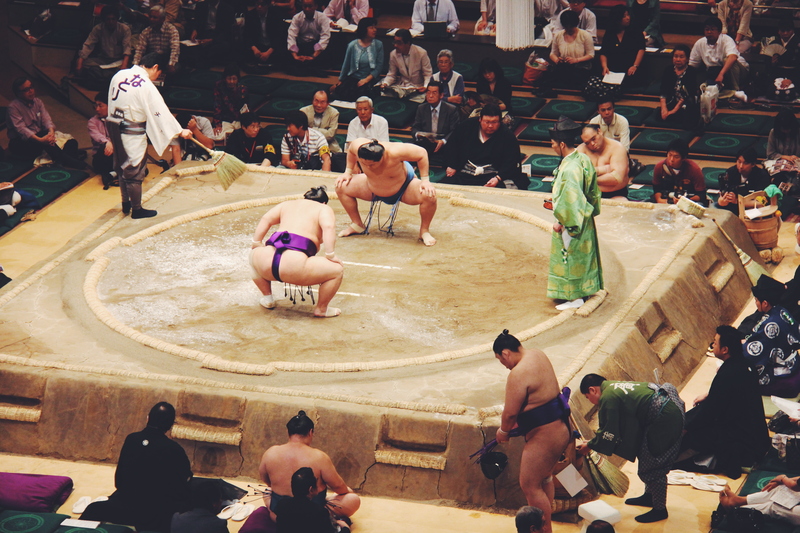 A trip to Japan certainly isn’t complete without seeing the Sumo, and watching a tournament in the traditional arena is one life experience I’m glad to have had. 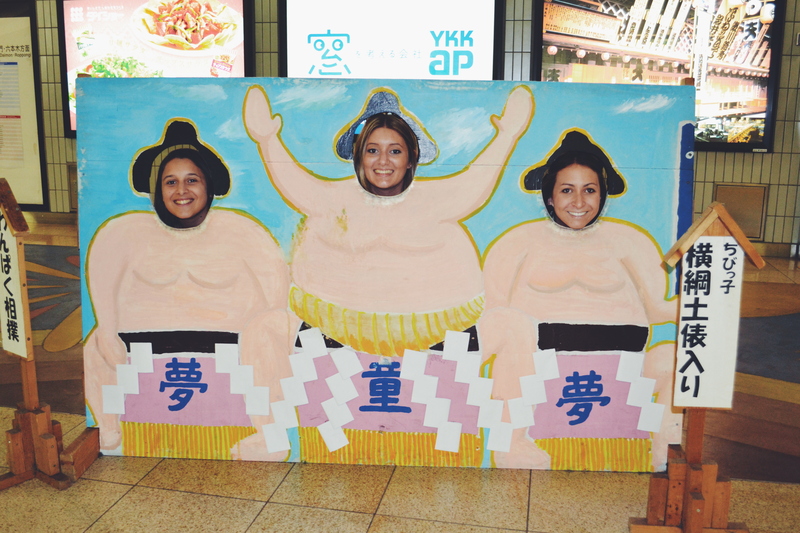 We ventured out to Yokoami, where Tokyo’s National Sumo Hall, Ryōgoku Kokugikan is located. Tournaments are held here in January, May and September each year. 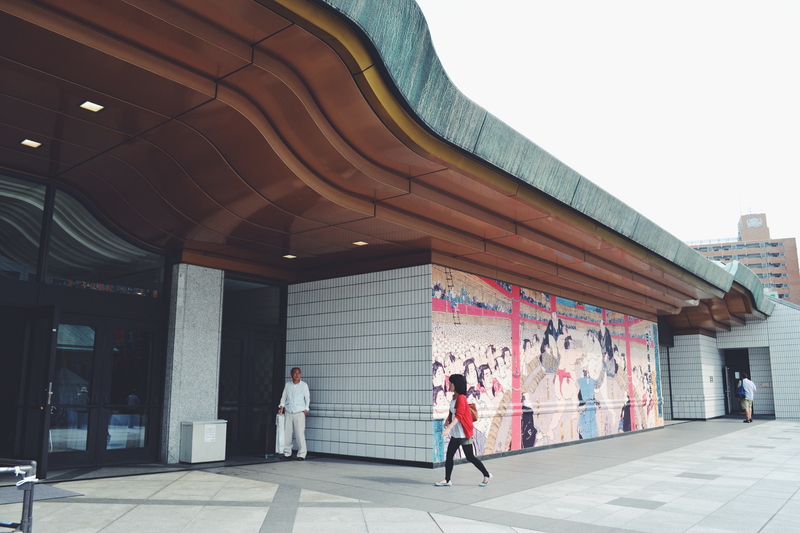 This area really is the home of sumo, and there are many chanko-nabe hotpot restaurants there serving the same dishes that the wrestlers eat. We even passed right by a wrestler enjoying a bowl on our way to the tournament! 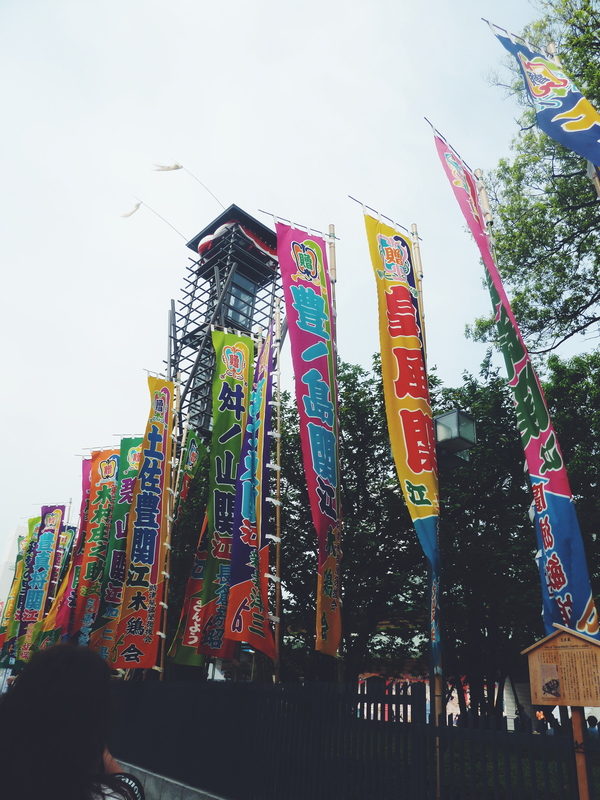 As you approach the hall, spectators line up outside with colourful flags ready to greet the wrestlers as they walk up to the arena, waving and cheering enthusiastically. 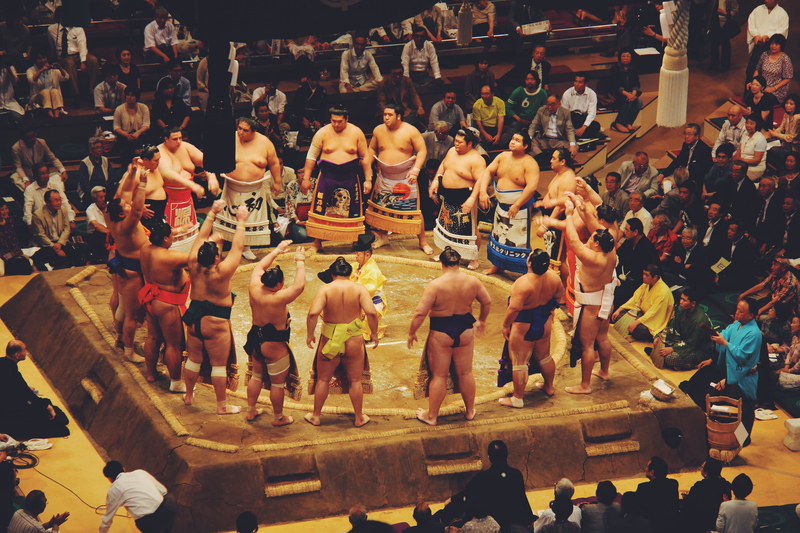 Despite popular culture portraying sumo’s as short men with large, jolly bellies, these athletes in fact display quite a ‘sporting’ physique. 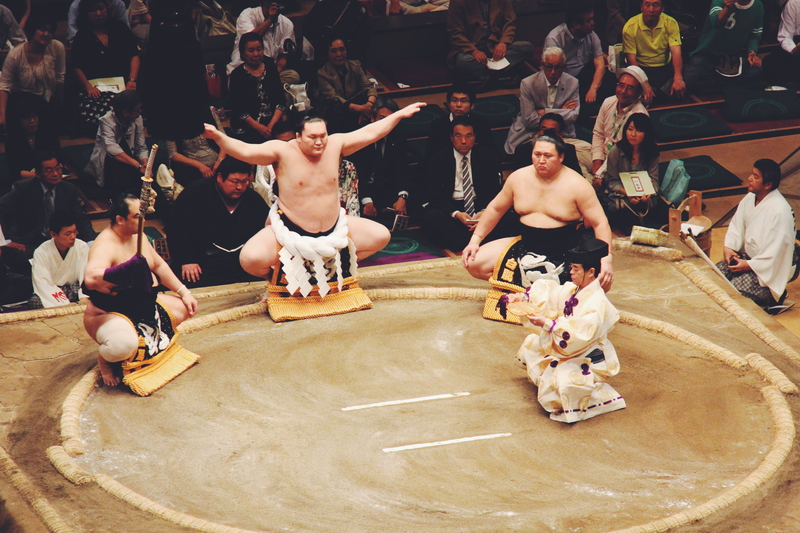 They certainly are a little round in the middle (some more than others) however the strength they have is clearly visible and they’re surprisingly agile in the dohyo (ring). 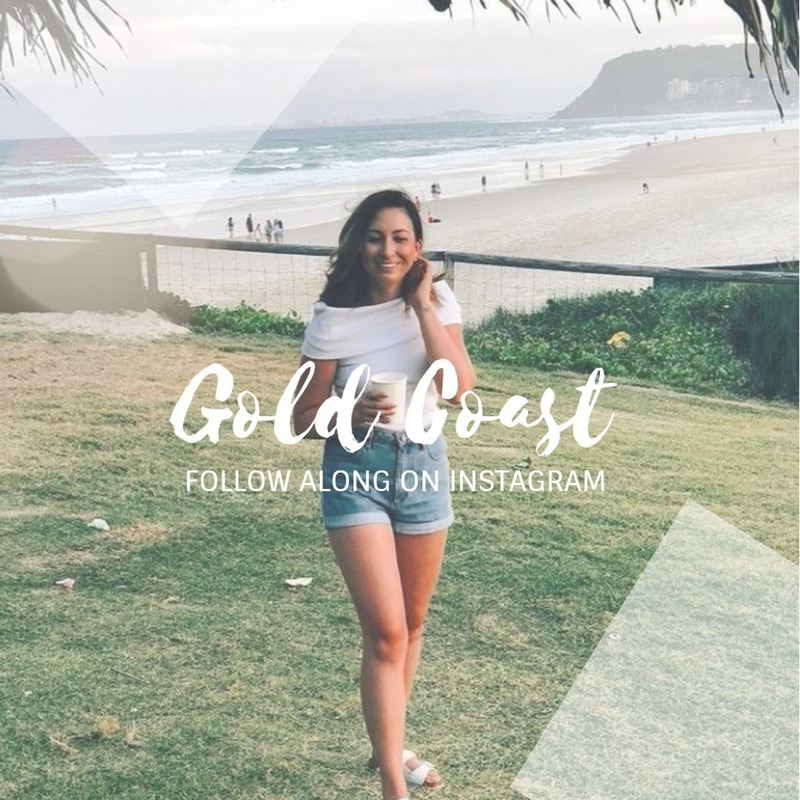 They dance around, and carry out precise moves and actions, making this sport feel closer to a theatre performance or dance. 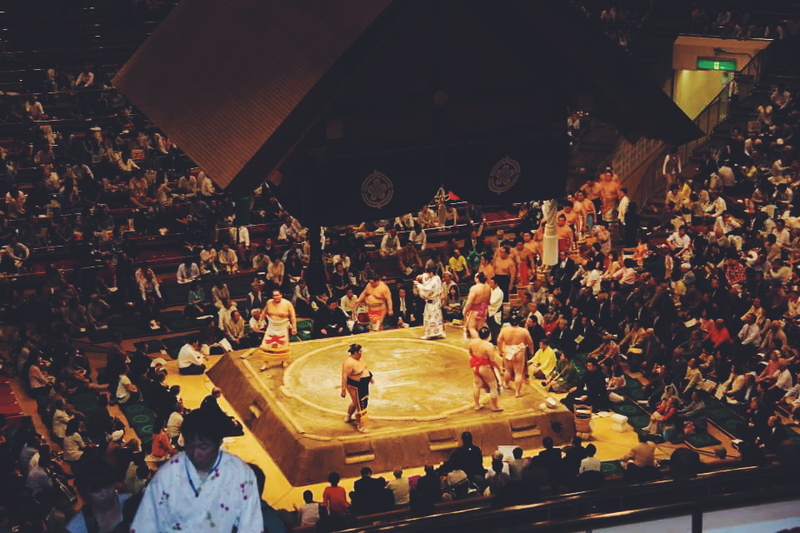 Bouts can sometimes only last a few (intense) seconds, and are scheduled throughout the day. 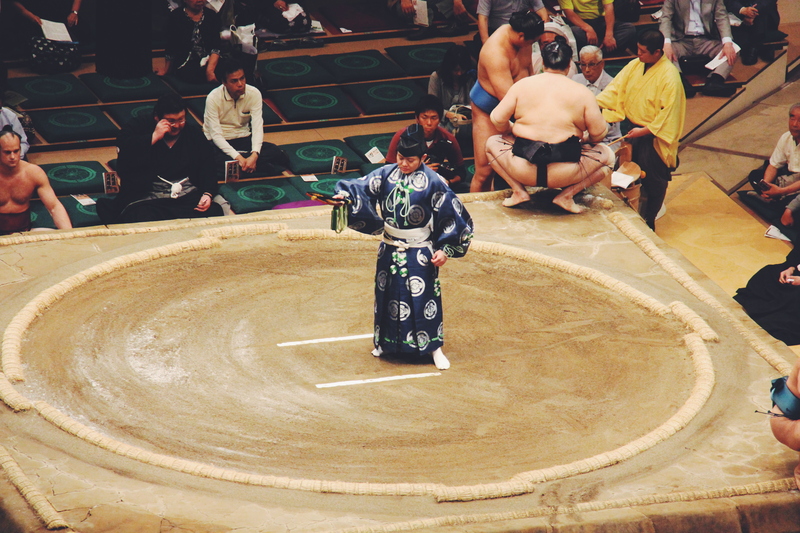 If you can be inside the arena before a new round, the rikishi parade into the arena wearing ceremonial aprons over their loincloths. We were lucky enough to see a former champion demonstrate some classic moves before the tournament started. 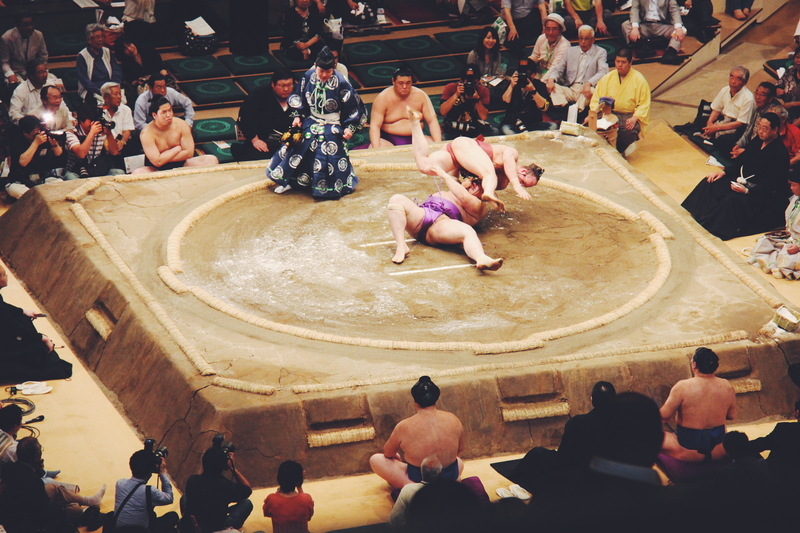 Ringside seats (suna-aburi-seki) put you front and centre with the action, so close to the dohyo that spectators get sprayed with the sand from it during the bouts. These seats come at a higher price, and as such, we opted for general admission, seeing us seated way up high in the nose bleed section. Although this meant we were further away from where it was all happening down below, we had an amazing birds eye view over the hall which made for quite a sight! We were also able to enjoy some food while we watched on (food and drink are forbidden ringside). The morning and midday contests tend to have a lower attendance, so the hall will be quieter, the competition a little less stimulating, but tickets are much easier to come by. Friday and Saturday evenings are usually packed with spectators who will apparently even throw their seat cushions after a particularly heated match! Booking ahead on these nights is advised. You can view the tournament schedule here.